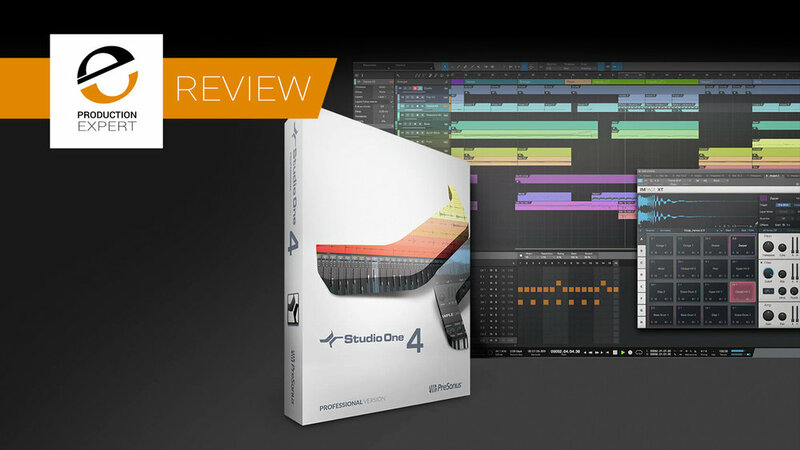 Studio One 4 Professional, is the flagship version of the hugely popular DAW from PreSonus and aims to build on the success of Studio One 3 launched some three years ago on May 20th, 2015. When Studio One 3 launched PreSonus was aiming to attract a more professional group of users to the platform, in particular, the users of Pro Tools and Logic Pro, offering a generous 70 new features. These features include Scratch Pad, Arranger, Multi-Instruments and Extended Effects Chains to name four, and Studio One 3 was largely welcomed and helped to bring a new group of users to the Studio One platform, either as new DAW users or those migrating from other DAWs. 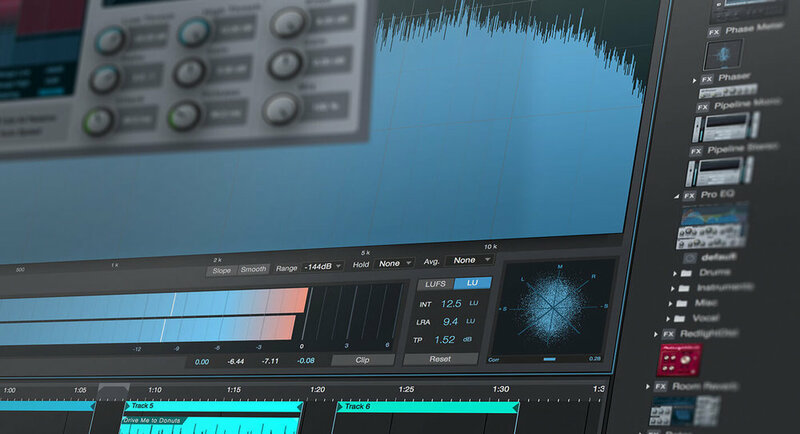 However, PreSonus has not sat on its hands since the launch of Studio One 3, releasing a series of free updates that have brought even more features to Studio One 3, for example, Studio One 3.5 gave users an added 60 new features. Whatever criticisms anyone may have of either Studio One or PreSonus this kind of continued development of a DAW mid-release and at zero cost is something that has given Studio One a reliable and faithful user base. In a recent article, Studio One Expert asked users what kind of things they hoped to see in Studio One 4. The article as expected received a lot of responses, some sensible and others less so. Central themes that emerged from that exercise were; Session import and Export in Studio One, OMF/AAF support, and Better MIDI support. It's always tricky developing software trying to find the balance between genuinely useful user ideas and giving people what they did not even know they wanted, by its very nature innovation is about doing the unexpected. With that in mind has PreSonus delivered some wish list items and at the same time given Studio One users some innovative and genuinely useful features that will help the modern music producer. A new Chord Track that allows the user to identify and manipulate the harmonic content of both instrument and audio tracks. ARA 2 support offering even more power from the Celemony invented ARA (Audio Random Access) plug-in extension. Improvements to their Virtual Instruments with overhauled versions of Impact and Sample One now sporting the Impact XT and Sample One XT names and with significant changes to both the feature set and look. A cursory glance confirms that PreSonus has yet again delivered a generous list of new features. Two questions need answering; firstly are the new features those requested by existing users and secondly, even if innovative, how many of the new features are genuinely useful? So first back to that list of user-requested features; Session import and Export in Studio One... tick! AAF support... tick and Better MIDI support... a possible tick, we say possibly because that phrase is so all-encompassing that it's hard to pin down what people really mean when speaking in such generalities. It's important to understand some of the underlying philosophical thinking of the Studio One development team; that is Studio One's workflow is aimed at making things as simple as possible, such as drag and drop. This thinking may sometimes mean that features are not exhaustively comprehensive, but for 95% of the user, they work just fine. In other words in Studio One if PreSonus has to choose between complication or simplicity then often the latter wins, which in most cases is a winner - Studio One is aimed at creatives, not rocket scientists. There are DAWs on the market that will let you modify and tweak to your heart's content, Studio One is not one such DAW. For example, AAF import is as simple as dragging the AAF onto the timeline and letting Studio One do the rest. There's no dialogue box with a thousand permutations to work through before starting the import. We performed tests on AAFs from Pro Tools 11 and 12, Logic Pro and Final Cut Pro X. All of them came into Studio One without issue, although the importing of automation such as volume and pan was not always as expected. To be fair, this was partly down to AAF export being somewhat broken in Pro Tools 12, something we found documented in some detail in various forums when testing the Studio One 4 AAF feature. Furthermore, it became even more apparent as we researched AAF functionality on multiple platforms that AAFs are not an exact science, perhaps due to how each developer implements them, but in most cases, they work. Export of an AAF from Studio One is simple, but it is important to note that the AAF exported from Studio One needs to be accompanied by the audio files in the main Song folder. The AAF file without the media is useless, so remember to send the entire song folder to anyone you want to share it. AAF is by their own admission a work in progress for PreSonus so expect to see further improvements. "While the Chord Track is capable of very powerful effects, it does have its limits, primarily in that audio cannot be pitch-shifted without some level of artefacts added. We recommend that once you're done experimenting and "prototyping" your song, you re-record any audio parts to fit the new chord progression, especially if they are critical parts." In our tests, Chord Track can prove to be useful in 90% of cases, but as we've already pointed out, it can detect chords incorrectly both in terms of harmonics and timing. With that said we think that the Chord Track is a genuinely useful and at times powerful tool to help those wanting to create ideas and then test them out. There are some suggestions that Chord Track is just another dumbing down of the art of music creation, having used it for several weeks we beg to differ. Anyone using Chord Track still needs a basic grasp of music theory and in particular harmonic theory, using Chord Track without both of these skills is going to do nothing more than increasing the number of avant-garde jazz tracks in the world. So if you have no musical theory training, then we suggest getting some if you want to use Chord Track. We do hope that Chord Track is a work in progress and that PreSonus continue to hone the Chord Track feature to improve its usefulness. It's already good, but as technology develops it could prove to be a killer feature in later iterations. Moving to other headline new features, Patterns bring to the Studio One creation process what some describe as a step sequencer on steroids. Patterns enable the creation of both rhythmic and melodic parts in much the same way one would create them on a Roland 808/909 or for melodic parts the TB303 Bassline. Patterns are also somewhat reminiscent of a feature we first encountered in C-Lab Creator (the forerunner to Apple Logic Pro X), a sequencer that ran on the Atari ST computer and was around in the mid-1980s. In some ways, C-Lab had features that were ahead of their time and have been missing ever since, such as the ability to work on patterns with each part having a varying loop length. So why is this so useful? Well if you are writing a 4-minute song and every kick in the track is on the first beat of every bar, then you only need a 1 bar loop of that kick. If the snare only plays on the first beat of every second bar, then you just need a 2 bar loop of 8 beats. The hi-hat may have a 4 bar variation and so on and so forth. You get the idea? However, what makes Patterns so compelling is not just the ability to vary loop lengths, but you can also change the resolution of each part. Add to this a repeat and probability feature for each part and automation lanes, and you soon realise that Patterns are not only a powerful music creation tool for many genres but also incredibly fun. This leads us to the updated virtual instruments found in Studio One 4, Impact XT and Sample One XT. Impact XT is to some degree a software version of Native Instruments Maschine, and before NI fanboys start screaming at the screen, yes we know there's a lot of differences between Impact XT and Maschine, but for the meat and potatoes, they both do similar things. A sample player, 16 pads and a variety of options to edit the samples. There's been quite a lot of work done on Impact, and it now offers 128 pads which can be played across an entire keyboard, lots of additional ways to tweak the sounds. Then there are some very useful sample import features via drag and drop, the first is that Impact XT will slice up a loop and put it across the pads, based on transients. The second is that you can drag an entire group of samples into Impact XT and it will put them on individual pads. Impact XT also offers time-stretching and tempo sync if you want to put loops on pads. Sample One XT has had a similar make-over and turbocharges under the bonnet, taking it from a VI that was not very useful to something that is now very powerful. For example, you can drag in an entire backing vocal and then trigger it, but you can also record audio into Sample One XT from an almost limitless set of sources within Studio One, including from live inputs - handy for sampling on the fly. On the whole, the new versions of both Impact XT and Sample One XT are welcome and from our conversations with those using Studio One 4 are using them far more than the original versions. If we can make one wish for them, it is that when auto-slicing up loops the feature would be even more useful if you could choose to slice at equal lengths across the grid. This would make using the samples with the pattern editor and mixing them around really easy to do. As it stands, it can take some time to figure out the timing of each slice to get them playing as a pattern. Studio One 4.1 perhaps? UPDATE: We've had an email back from the PreSonus team who tell us this is possible to some degree at present, watch this video to see how. One thing that is worth noting is that Impact XT is tightly integrated with Patterns. For example with the Pattern editor open and Impact XT open when you click on a pad then it selects the correct lane in the pattern and vice-versa. It's a small but handy workflow feature. A final 'wish list' feature in Studio One 4 is Import Song Data, where all or parts of an existing song can be imported into another Studio One Song. The feature offers a comprehensive set of options to import events, layers, automation as well as Console options such as Volume & Pan, Inserts, Sends and Instruments. One can also choose to import or leave out all related media, this is useful, for example, if one wants to bring in a set of drum channels complete with plug-ins but not the audio files. It's always hard to look at any DAW without comparing features with implementations in other DAWs. Import Song Data is not as fully featured as let's say the Pro Tools version of Import Session Data, but this speaks again to the PreSonus philosophy of giving users as uncomplicated and straightforward workflow as possible. Having used both workflows being presented with the comprehensive list of options in Pro Tools when importing a session can be as much a hindrance as a help. Neither way of doing it is right or wrong, merely different but on the whole, PreSonus implement features in a way a creative would work, in other words, how can I do this fast without being asked too many questions? As we come to the end of this review of Studio One 4 it feels like the dedication sections of a radio show, you hope you've not missed anyone out, but inevitably you do. There are plenty of new features in Studio One 4 to satisfy both existing users and those considering Studio One as their next DAW. One special mention in the new version of Studio One 4 is Ripple Edit, this means as you edit audio on the timeline the adjacent audio moves to either fill in gaps or shuffle other audio up or down the timeline. This is very useful for dialogue editors but equally useful for those working in music. We have it on good authority that internally this feature was called 'Russ edit mode;' as he was the person who asked for its inclusion. So, of course, we would have to say what a brilliantly useful addition Ripple Edit is. In summary, Studio One 4 is an upgrade with new features to make several groups of people happy. For those wanting more powerful MIDI composition tools then there's plenty of power in Impact XT, Patterns and the Chord Track. For those wanting better workflow tools then AAF, Song Data Import, notes and ARA2 are going to tick their boxes. Some Studio One users have suggested that PreSonus did nothing to improve mixing in this upgrade, but we can only assume they had short-term memory loss and forgot that Studio One 3, 3.2, and 3.5 had significant mixing improvements including MixFX, VCA faders, better automation handling and the smart tool. It's sometimes easy for those not developing software to forget that it's often the case that a developer will create releases to satisfy a particular segment of the user base - if Studio One 3 was for mixing then Studio One 4 is for music creation. Combined Studio One 3 and 4 have really taken Studio One from an also-ran to a front-runner in the DAW race. Of course, the two giants that are always in the mind of those making comparisons are Pro Tools and Logic Pro X, both DAWs have a lot of history both in terms of development and fans. At the same time, there are existing users and fans, which can prove to be both a blessing and a curse for product developers. On the one hand, they are unpaid evangelists who have helped to get you where you are, and at the same time, they can resist the change necessary to make an application what it needs to be. Studio One 4 manages to deliver features for both existing and potential users, as we've already said by building on the excellent development of Studio One 3. For those wanting an agile, powerful and cost-effective professional DAW then Studio One 4 has made life easier for first time buyers wanting to buy it and a lot harder for those trying to resists its attraction. Studio One 4 isn't perfect, but it's an excellent first attempt at moving Studio One closer to that elusive if not impossible goal. Knowing how Studio One 3 features developed at zero cost to those who stumped up for 3.0 then one can only imagine Studio One 4 is going to get better too. We rarely give ratings on reviews, but for those who like them then we'd award Studio One 4 a score of 8/10. Recommended.